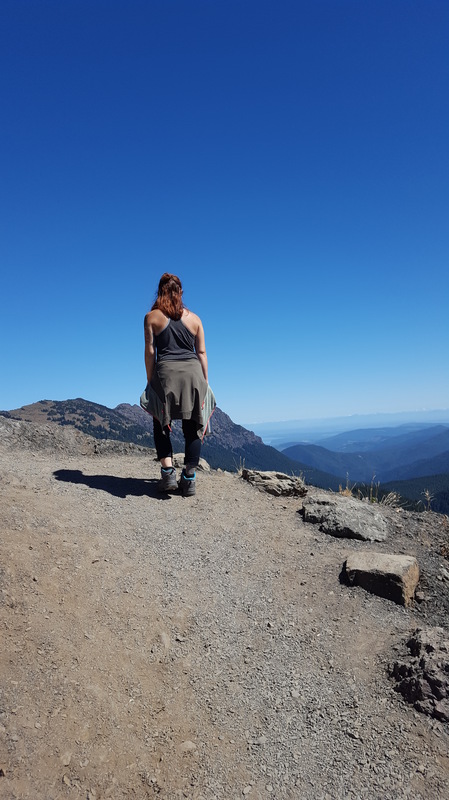 So fellow travelers, we have spent three days discovering the majestic power of the mountains in Rainier and Olympic National Parks in Washington. 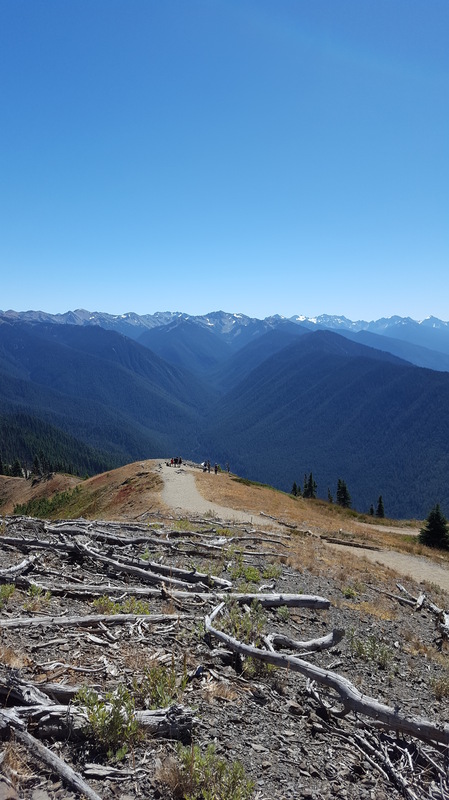 Yesterday at Hurricane Ridge in Olympic National Park, Favorite Older Daughter and I hiked a trail leading to a lookout point. It was a mercifully short, but knee cracking steep climb. My daughter patiently paced her stride as I stopped to get photos and catch my breath more than a few times. The views from the top were worth every inch we hiked. Even more precious was this rare time alone together. “Proud” barely describes the depth of joy I feel being with the amazing young woman my daughter has become. I have not written much about her because it is not often we get to spend time together. I head back home in a few days with an increasing sense that “home” is no longer where I currently live. It’s become this wild and wondrous place I return to every summer, this place our kids call home. In all honesty the kids relocating here was the initial draw, the wilderness which still exists makes it more compelling to return. Eventually we have our sights set on retiring here. 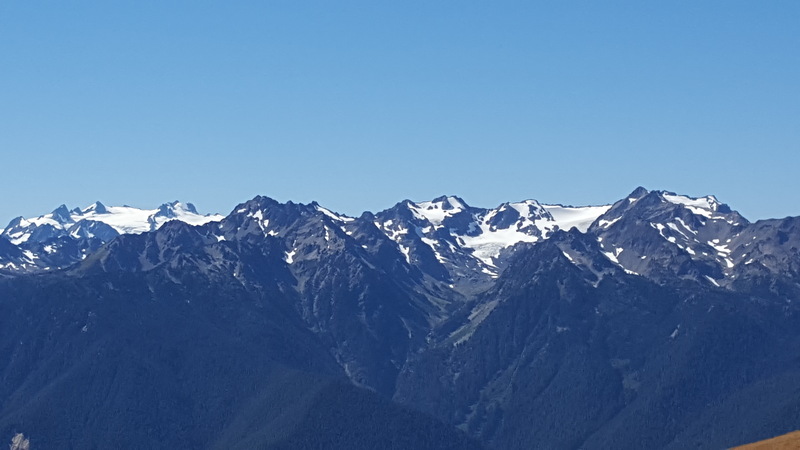 As a flat lander the mountains are fascinating. Although I have visited and enjoyed them immensely, the plains are home to me. We visited Mt. 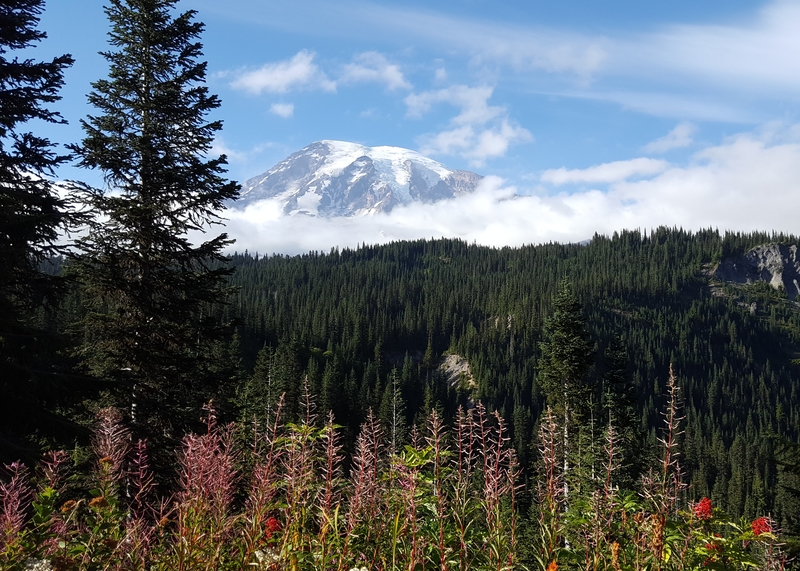 Rainier in early June and the upper areas were still closed due to persistent snows. Sounds like late August is the time to visit! beautiful photos. it will be a great place for you to one day hang your hiking hat up in.